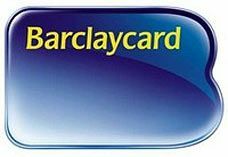 Barclays is to step up its 'contactless' card scheme by issuing a million of them in the UK by the end of 2008. Despite a name that sounds like bad English, the bank has built up 6,000 'live terminals' since launching the OnePulse cards in September 2007. They can be used for sales under £10 and do not need a PIN number or signature. Users simply touch the card against a reader to quickly make a payment. The first OnePulse card combined Oyster, credit and contactless card features. Previously, Barclays has trialled the cards in a mobile phone deal with 02, and it will promote the idea further on September 13-14 by giving away 50,000 cards to visitors at the Mayor's Thames Festival in London, which the bank is sponsoring. Let them have (a) coffee! The giveaway cards will allow their lucky recipients to buy one free cup of coffee from one particular branch of Coffee Republic on the South Bank. If you are not sure which, it will be the one with hundreds of customers spilling into the river like drowning rats trying not to spill Mochachinos. Proof, if a bank ever needed to demonstrate it, that its executives believe in spreading the wealth back amongst the great unwashed from whence the billions first came. "Our dominance in the market is evidence of our continuing commitment to innovation, making payments simpler for our customers and, ultimately, changing the way they pay for things. "Key to this change is that consumers have a payments provider that they recognise and trust in Barclaycard." said Elizabeth 'G' Chambers with all the corporate modesty expected of a chief marketing officer representing a multi-billion pound financial organisation.